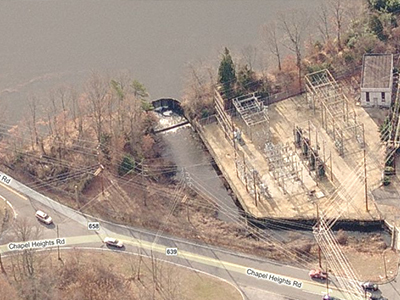 Washington Township, Gloucester County, NJ – CES provided engineering services to prepare a New Jersey Dam Safety Permit Application and supporting documents for the removal (breach) of the Wadsworth Dam, currently listed with the NJDEP Dam Safety Section as an ‘unsafe’ high hazard dam. A previously prepared Hydrologic Analysis for upstream Kandle Lake Dam was used to obtain inflow hydrographs and routings to show the downstream impact of the Wadsworth Dam removal. Also, the Gloucester and Camden County Soil Conservation Districts previously performed an assessment and characterization of the Upper Mantua Creek, which was used to develop inflow data from the watershed. This analysis also included information on the Wadsworth Dam and will also be used to develop downstream information and modeling of the dam removal. Last, NJDOT recently performing road improvements to the Delsea Drive and East Holly intersection area. 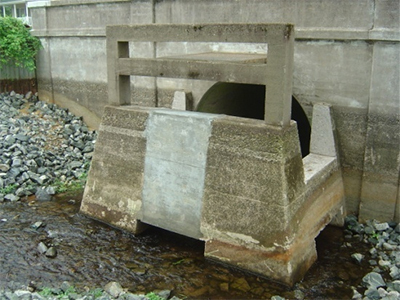 As part of its design and permitting process, a hydrologic and hydraulic analysis was performed to size the bridge replacements under Delsea Drive and East Holly. All of these studies will be included in the Wadsworth Dam removal calculations and stabilization design.